Camp by the river at Coorongooba campground in Wollemi National Park. Fill your days with easy walks, paddling in the shallow river and birdwatching in this World Heritage-listed landscape. 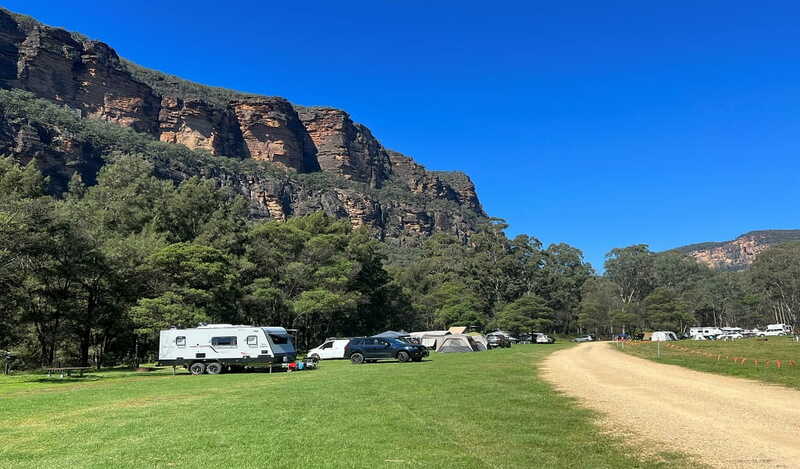 Secluded Coorongooba campground is the ideal place to pitch a tent, relax and recharge in the dramatic World Heritage surrounds of Wollemi National Park. 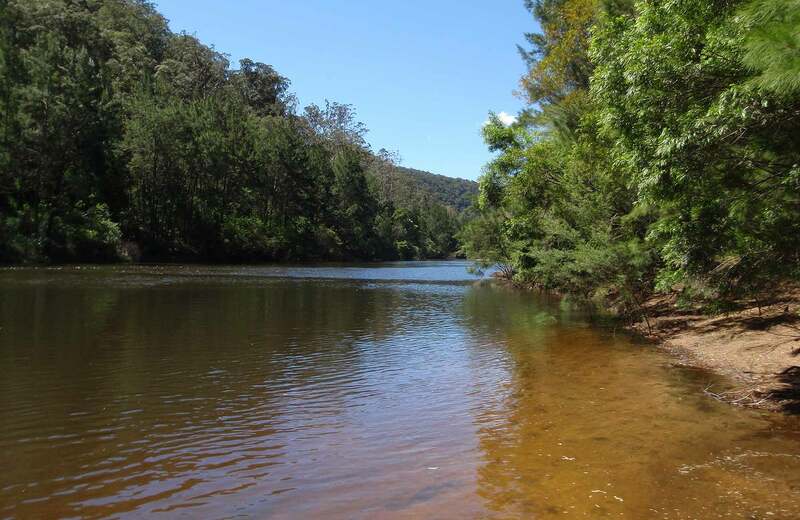 Set on the crystal clear Capertee river, you’ll have plenty of opportunities to splash about in river pools, enjoy invigorating walks along the Capertee river trail, or just soak up the natural ambience with a good book. The Capertee is usually shallow but if there’s been rain, why not try your hand at liloing? The Capertee river trail is also a great place for birdwatching. It’s close to a breeding site for the endangered regent honeyeater, so if you’re there during spring, keep your eyes open for fledglings learning to fly. Watching the afternoon light change with a cup of steaming bush tea brewed on the wood barbie rounds off this wonderfully simple camping experience.